My slightly debaucherous side must confess a mega love for Jello shots! I've been dabbling in the art since my adult years began and I love coming across new genius recipes. 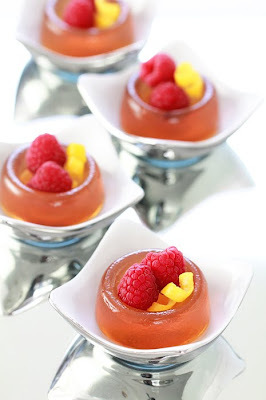 I snag a lot of inspiration from Bakers Royal, and their latest French 75 recipe had me turning to Amazon for the amazing mini molds necessary to the making of these awesome Jello cups.